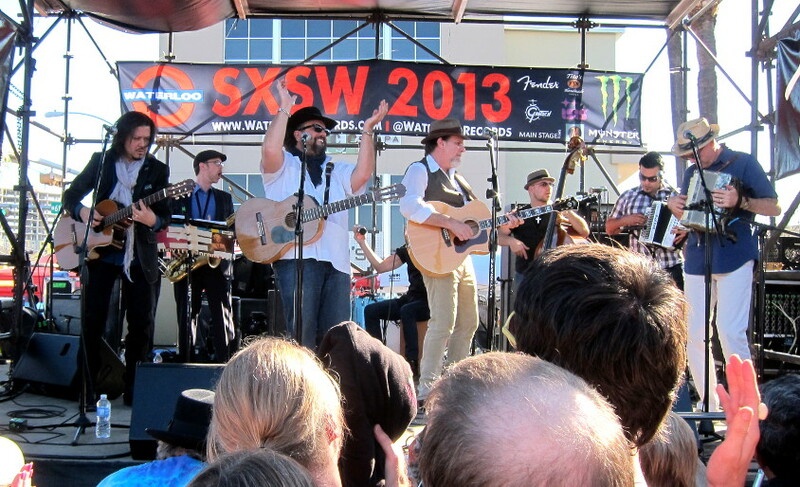 Another one from SXSW: Blue Sky Riders, a country rock trio led by Gary Burr, Georgia Middleman and Kenny Loggins. Yes, that Kenny Loggins. They played at the 2013 Southwest Invasion on the roof of Whole Foods Market. Thanks to IROCKE for allowing us to use the video. 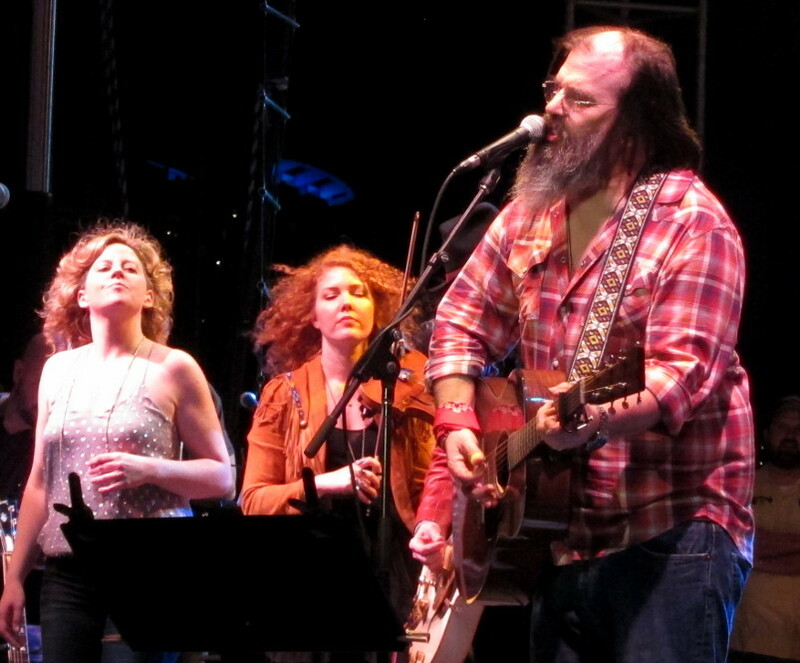 Steve Earle performs “The Weight” with Amy Helm (left) and Eleanor Whitmore, and The Midnight Ramble Band. The final official night of all the South by Southwest (SXSW) lunacy in Austin sparkled with stars that seemingly tumbled in from nowhere. All at once, and roughly about the same time, the city erupted in performances by Justin Timberlake, Prince, the Smashing Pumpkins, A Tribe Called Quest, Vampire Weekend and John Fogerty. 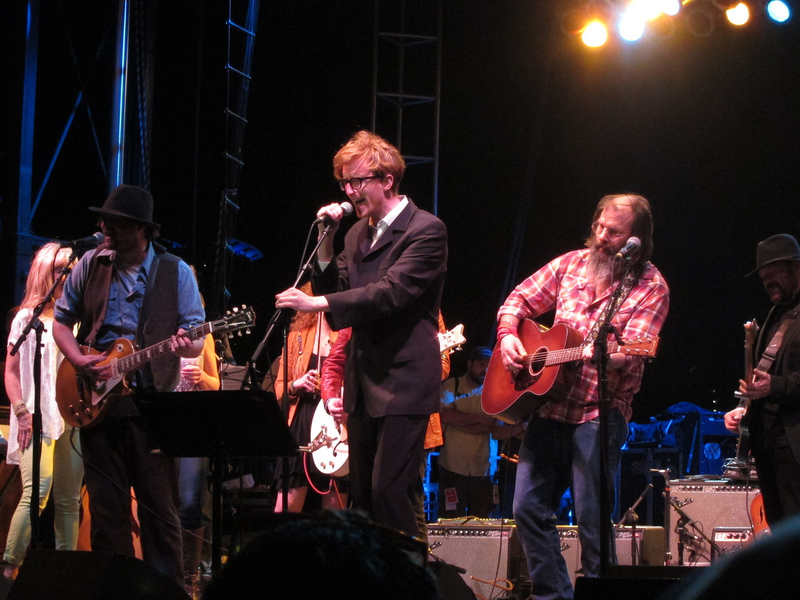 So it was no question that we had to close out our South By experience Saturday night by attending a big show at the city’s scenic Auditorium Shores, where The Midnight Ramble Band and a number of guest performers paid tribute to the late, very great Levon Helm. 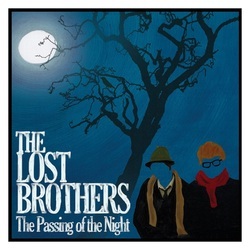 Much has been made of Levon Helm’s contribution to American music since his passing last year. He was the drummer and frequent lead singer on many of The Band’s classic tunes, written by Robbie Robertson and performed beautifully by the entire ensemble when it existed in the late 1960s-early 1970s. 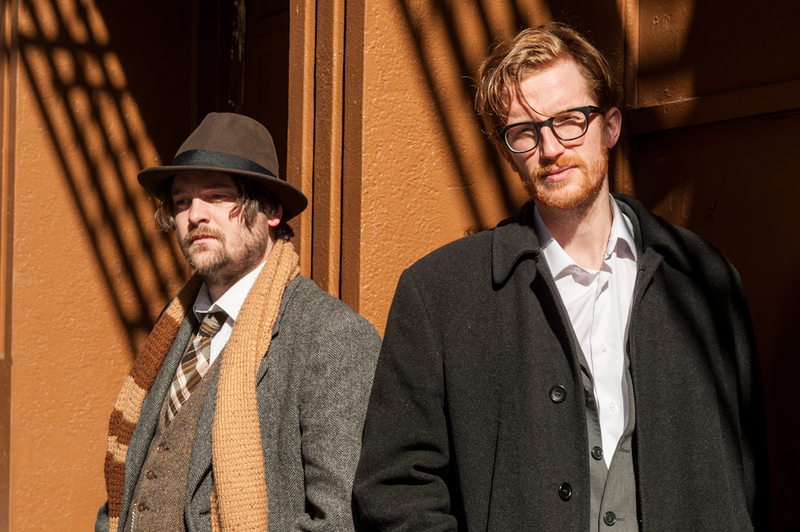 Helm stood for a rough authenticity in the music. Not only was he a brilliant player, but he liked to surround himself with similarly skilled individuals. So we have The Midnight Ramble Band, named after his monthly musical revival meetings held at his barn/recording studio near Woodstock, N.Y., and which plays the music that Levon helped make famous. Led by Helm’s daughter Amy, The Midnight Ramble Band stomped the show alive with “The Shape I’m In.” After that opening guest performers would wander on and off the stage, sometimes after a bit of delay while somebody located them backstage. 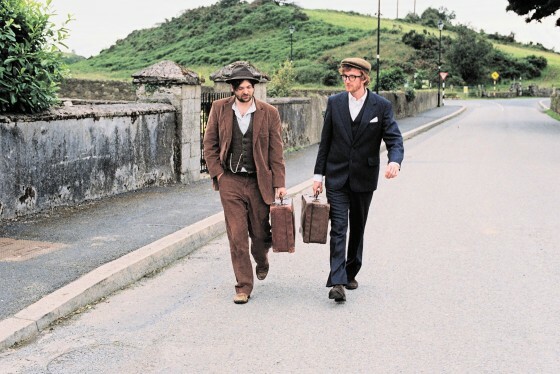 It was a loose affair, patterned after the Midnight Rambles, one supposes, where a tight pre-planned set list is not a priority. And so it would go with other guest performers – Ivan Neville, J.J. Grey, members of Spirit Family Reunion, Carolyn Wonderland, The Lost Brothers and Cody and Luther from the North Mississippi All Stars. They all reunited onstage at the end, to perform “The Weight” to send their regards for everyone. At song’s finish, Earle stepped up and pointed to the sky. “See you when we get there, maestro,” he said. On the way out, volunteers held up signs and big bottles were positioned for donations. Keep It Goin’, as it said on the signs, is an initiative to continue Levon’s legacy and create a musical landmark at his barn in Woodstock. Throughout the day in Austin, one didn’t need a barn or studio for music. It seemed to be everywhere, coming from any place. Bands played atop buses, both moving and parked. Clubs improvised stages to pack in audiences, and venues with stages indoors erected other stages outdoors to accommodate more performers. 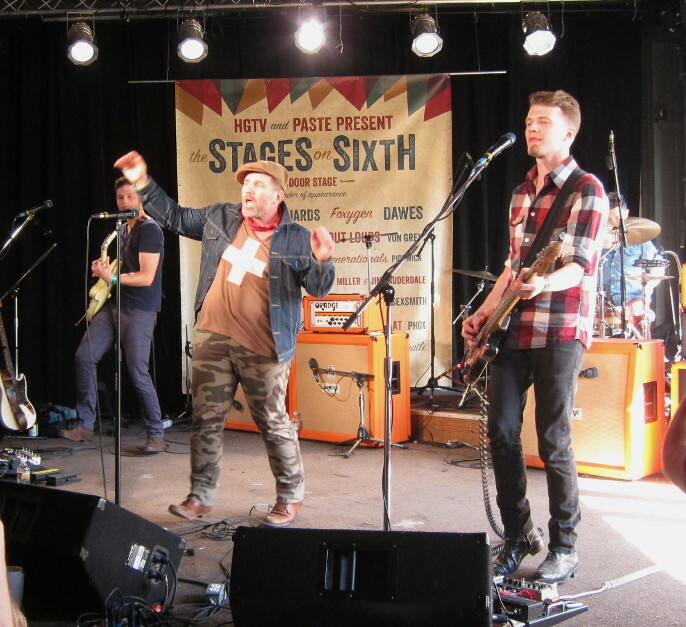 We saw the Seattle folk-pop band Ivan and Alyosha behind the big Sixth Street venue at Stages. A big tent kept many spectators out of the sun, and the beer was flowing freely. Singer Tim Wilson urged spectators to also see the Nashville band Leagues, which was on the indoor stage. OK, so we did – Leagues is led by Thad Cockrell, whose mesmerizing voice has helped make this band one of the most talked-about at this year’s SXSW. Cockrell danced freely during his performance and invited audience members to do the same. “It’s music to make you feel good,” he said, and spun merrily away. The Zombies: from left, Rod Argent, Jim Rodford and Colin Blunstone. One interesting place to see a performance was Mellow Johnny’s Bike Shop, which hosted a few days of live broadcasts by Seattle radio station KEXP. 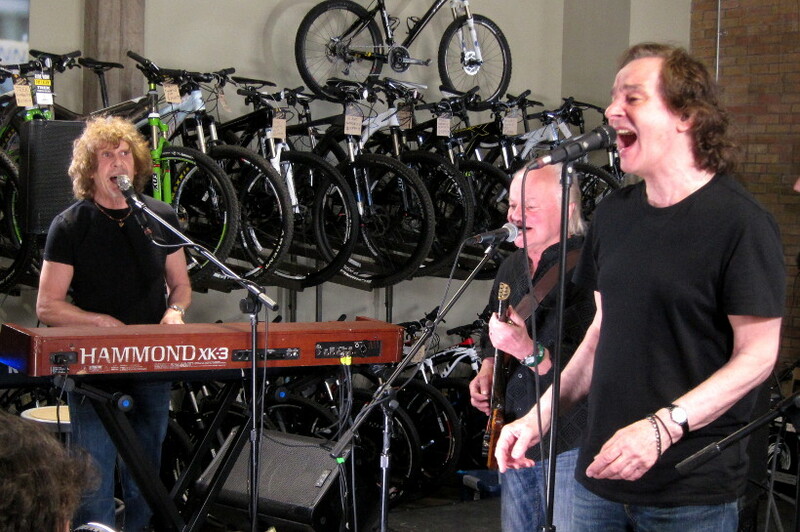 We caught a short set for the radio by the venerable Zombies, the 1960s British invasion-era unit led by singer Colin Blunstone and keyboardist (and main songwriter) Rod Argent. It was nice to see Jim Rodford on bass with The Zombies – he was also in Argent and wound up as the bass player for The Kinks in that band’s later years. His presence lent a nice touch to the craft and veteran musicianship of the group, sounding great and playing their hearts out even for a 30-minute radio broadcast. So we wrapped up our SXSW with a note of optimism and hope for the future. Thousands of performers practice and sweat to make it here each year to perform for small or non-existent crowds with the thought that their voices and their music may be heard. You gotta be good to even get a shot at SXSW, and bands do break out every year to greater fame and fortune (for example: the Alabama Shakes, class of 2012). Keep trying, next year may be your time. Thanks for reading, thanks to Popdose for putting up with us over there, and come on down to Austin next year. We’d love to see you. And we’ll buy you a free beer. You are currently browsing the archives for the SXSW category.